US Foods is the second largest foodservice distributor in the United States, supplying approximately 250,000 customer locations and generating annual revenue of around $23 billion . Sitting in the middle of the foodservice supply chain, US Foods provides critical services in sourcing and delivering food and related products to independently owned restaurants, national restaurant chains, hospitals and hospitality customers. Over the past several years, US Foods has led the efforts within the food distribution industry to grow their e-commerce and data analytics capabilities. As recent as a few years ago, US Foods’ customers could only place and track orders through traditional methods, such as phone calls or faxes. Not only is the antiquated ordering system highly inefficient, it also drove higher error rates and lower customer satisfaction. Furthermore, the data generated from the tremendous volume of transactions was not used in any systematic way to capture business insights. In 2013, in response to customer and competitive demands, US Foods launched its e-commerce and mobile technology solutions, which allowed customers to more easily place orders, track shipments, make payments and quickly view product information . As an example, instead of customers calling in to sales reps and asking when their delivery was due, nearly all of the active customers can now use the US Foods mobile app to track deliveries themselves . The mobile app also allows sales reps to place customers’ orders online from their phones or tablets while they are on the road. Additionally, the Company transformed the corporate website (USFoods.com) to give it more business-to-consumer appeal by including more pictures and increasing white space . Figure 1: USFoods.com home page . Alongside its e-commerce tools, US Foods provided its customers with business analytics solutions to analyze food costs, analyze trends based upon transaction history, manage inventory and improve menu engineering . These solutions have resulted in less lag time, improved communication and more transparency across the entire supply chain. The efficiency gains achieved by the new platform have become a main competitive differentiator in the industry, especially as millennials become key influencers and decision-makers. By the end of fiscal 2016, $16 billion of US Foods’ net sales was generated through e-Commerce, and the mobile application had been downloaded almost 300,000 times. The independent restaurant customers who use e-commerce to place orders have over 5% higher retention rates, over 5% higher purchase volumes and approximately 600 bps higher NPS scores than those who do not . 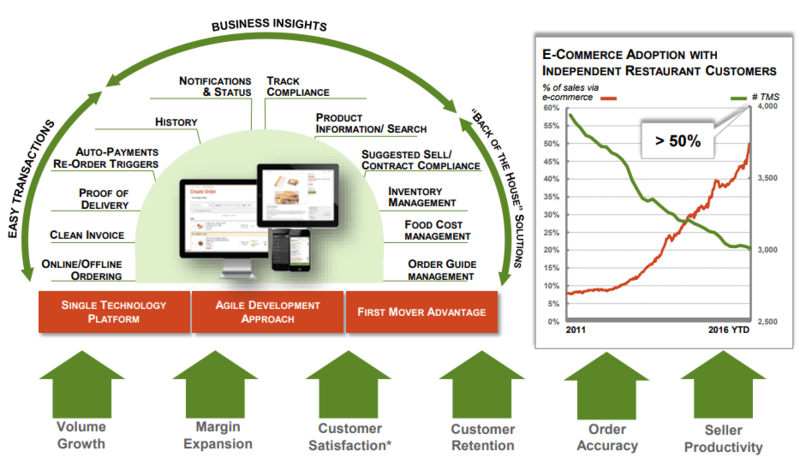 Figure 2: US Foods e-commerce strategy . While the digital platform has achieved great momentum, opportunities and challenges remain. Over the next several years, US Foods management plans to continue to invest in the platform by expanding its service offerings and continue to upgrade its existing functionalities. Furthermore, the management team plans to drive increased productivity within the sales organization as they increasingly benefit from the digital platform when they communicate with customers . In addition to what US Foods management has already laid out, there are a couple of additional actions that can help the Company continue to navigate the shift into digital. First, in order to stay ahead of its competitors, US Foods should invest in research and development and stay on the cutting edge in terms of their digital capabilities. 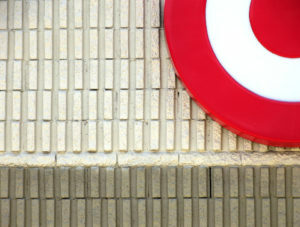 As US Foods Senior Director of e-commerce and Mobility points out, the need to stay ahead would also require the organization to align the company culture with digital change and continuous innovation . Second, US Foods can leverage the data they gather from the platform to provide better localized offerings. One key competitive advantage in the foodservice space is the ability to cater to the localized needs of the customers. For example, US Foods can offer business analytics and demand trends on a localized basis to further add value to their customers. The medium-to-long term goal of the Company should be to leverage the enormous amount of transaction data that passes through the system and create value with this data, much like what large technology companies do. For example, the data could be used to forecast end consumer demand based on geography, type of customer, type of product, source of item, etc. Additionally, the data can be used to better track pricing information, which can help drive sales and promotional strategies throughout the supply chain. In order to investigate the digital transformation further, there are a couple of questions I would focus on. How will the value proposition of the distributors evolve as the industry becomes more digitalized over time? How will e-commerce continue to disrupt the restaurant industry and how will this impact the providers further up the supply chain? US Foods Holding Corp, September 13, 2017 Prospectus Supplement, https://www.bamsec.com/filing/119312517286343?cik=1665918, accessed November 2017. Tepper, Nona. 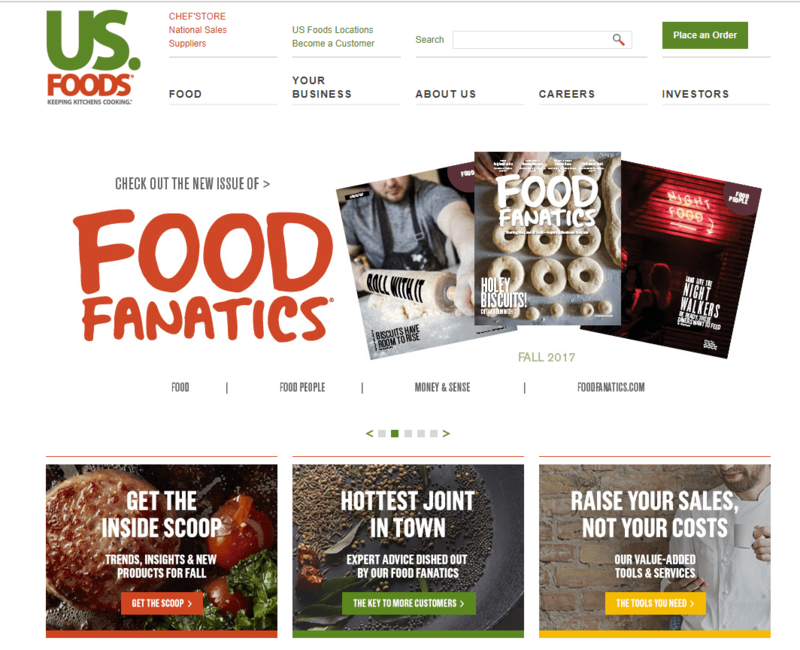 “US Foods whips up an e‑commerce recipe for success.” Digital Commerce 360, May 22, 2015. https://www.digitalcommerce360.com/2015/05/22/us-foods-whips-e-commerce-recipe-success/, accessed November 2017. USFoods website, USFoods.com, accessed November 2017. US Foods Investor Presentation, Morgan Stanley Consumer and Retail Conference, November 15, 2016. https://s21.q4cdn.com/186195789/files/doc_presentations/Final-Morgan-Stanley-Conference-Deck-November-2016.pdf, accessed November 2017. Lyman, Jim. “Aligning Your Digital Efforts with the Rest of the Organization: How to Achieve Buy-In.” B2B Online 2015. https://b2bmarketing2015.wbresearch.com/jim-lyman-speaker, accessed November 2017. Dong has highlighted how a lumbering giant is making the slow transition to digital. In particular, he highlights the massive amounts of data that US foods is gathering on purchasing patterns based on location and other things. Thinking about how US Foods could leverage this data I think it goes well beyond just using it to understand their customer needs and optimizing the supply chain accordingly. Another way US Foods could really see upside and monetize the data they have is to consider selling it further down the supply chain. By selling the data on buying patterns to food manufacturers they would enable them to alter production etc in line with the demand to reduce waste and improve profits. Overall US Foods location in the supply chain means their data is invaluable both to their consumers and others further up the chain. I’m thrilled to see how digitization has injected a dose of transparency into this industry, and am with ELH that there is more that US Foods can do with the data it is generating. In addition to the point ELH raised around minimizing waste via the inventory management functionality, I wonder if there is an opportunity to introduce dynamic pricing as a means of determining real value. This notion reminds me of a recent Planet Money podcast episode, The Free Food Market, in which – as a means of better distributing food among food banks across the country – they created an auction-like market in which individual directors could place bids on items. Like other industries, US Foods and its customers will need to decide who owns the data US Foods is collecting and what type of rights surround that sensitive information. 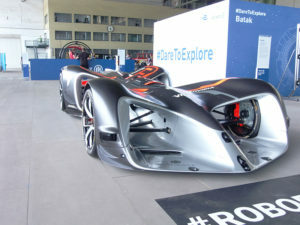 Dong rightly asked how the role of distributors may changed in this era of digitalization. One new service a distributor can provide is business intelligence based on the data it collects to help customers better buy food for local tastes and forecast demand. Customers should ask, however, does US Foods have the right to aggregate their data to use in this analysis? Now competitors are benefiting from the data US Food is providing, US Foods can profit from this data, and yet, the customer supplying the data is not compensated. Time will tell how this plays out, but US Foods should proactively manage this situation with their customers. Dong also hints at the disruption e-commerce is having on the industry. He explains how customer behavior has changed: customers no longer call sales reps to track orders but rather pull out their smartphone and find live updates on an app. US Foods will similarly have to change its internal organization and processes to thrive in this new world. Dong’s research shows US Foods is already investing in technology platforms, and we are curious to see how their operations will change to deliver on their evolving customer promise. One added value that distributors could add to their customers is helping them reduce waste and therefor costs. For example, US Foods can add additional features to its online platform that would allow restaurants to input how much produce they are throwing away throughout the week due to spoilage. The online platform can then make suggestions to restaurants on how much to order. Although this will cause a reduction in sales volume, distributors can charge a premium for using the system recouping some of the lost profits. In addition, the distributors can make the delivery of produce automatic, where the same basket of goods would be delivered every predetermined number of days. Restaurants will have the option to modify the orders to increase/decrease the order size or add certain items. By eliminating the need to reorder produce used regularly, the distributor is helping the restaurants minimize indirect labor. I see very little negative impact for players up the supply chain from this innovation. I believe that the digitalization of produce ordering will save both time and money for restaurants.